Are you putting the wrong fuel in your body? Are you caught in a vicious trap with your eating habits? Many people find that they are caught in a vicious trap with their eating habits - the problem being they just don't know to break free from them. Anyone who struggles with their eating habits knows the despair and frustration that can accompany this. Add to this a busy lifestyle, family and work commitments, and all too often we find ourselves carried along with bad habits and low self worth. Losing weight is much more than just being on a diet. Specific life style changes are often needed in order to end the yo-yo diet cycle once and for all. Weight Loss Coaching helps you make those changes step-by-step. In many cases these are very simple but effective. 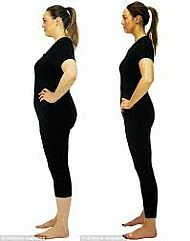 With support tailored to each client, the results are effective for lifelong weight loss. Whatever your age, the good news is that it’s never too late to change your diet, lifestyle and thoughts. If you are at the point where enough is enough and you want to end the constant struggle with your weight then weight loss coaching is definitely for you.